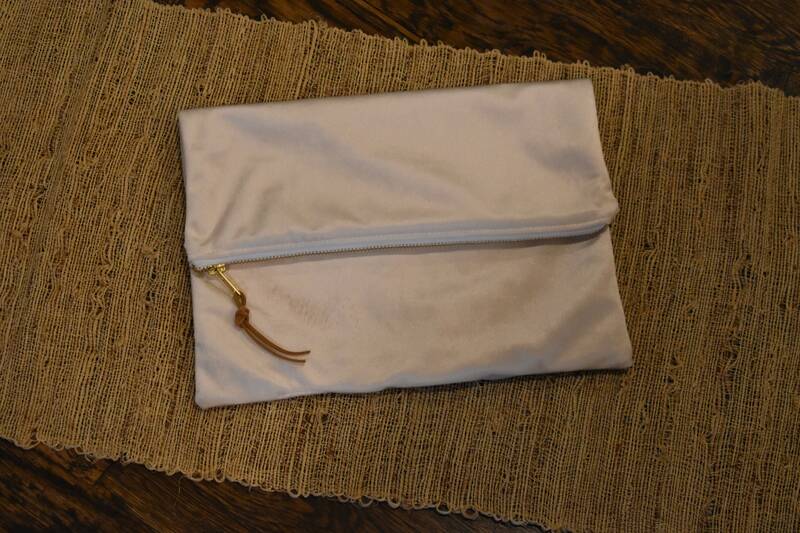 Enjoy a stylish clutch or simple zipper bag to help carry and protect your custom painted bible! 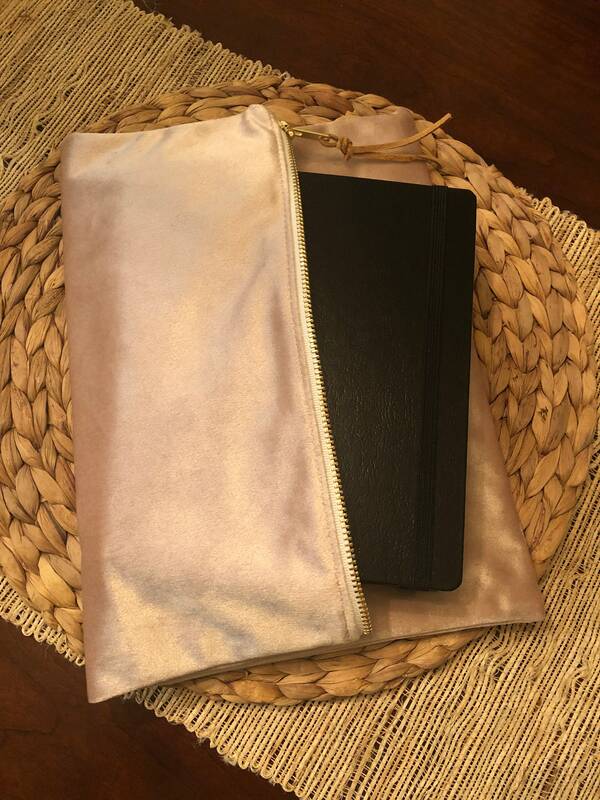 The Whimsy Brush bible bags come custom fit in beautiful faux velvet and tweed. 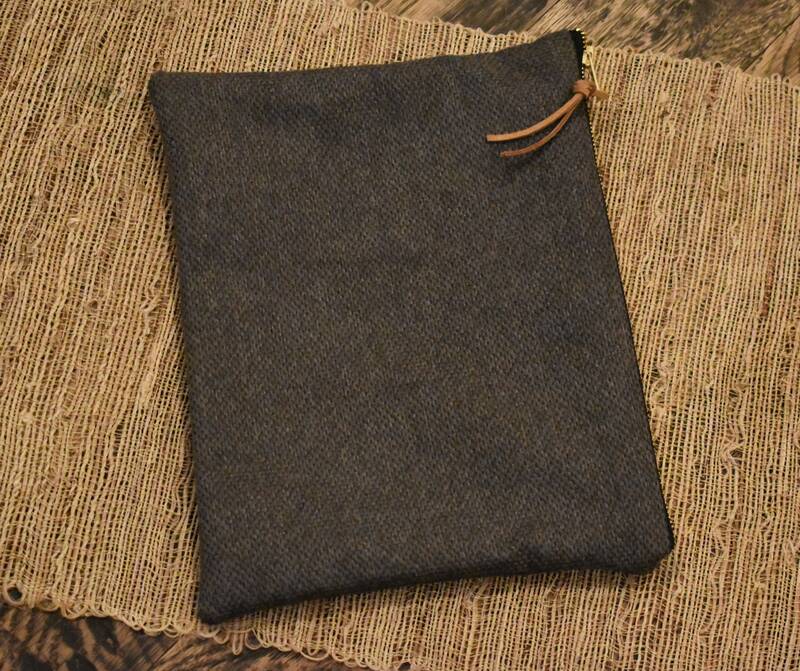 The velvet bags are a fold over clutch style and the tweed is a zipper non-fold style in beautiful dark gray. 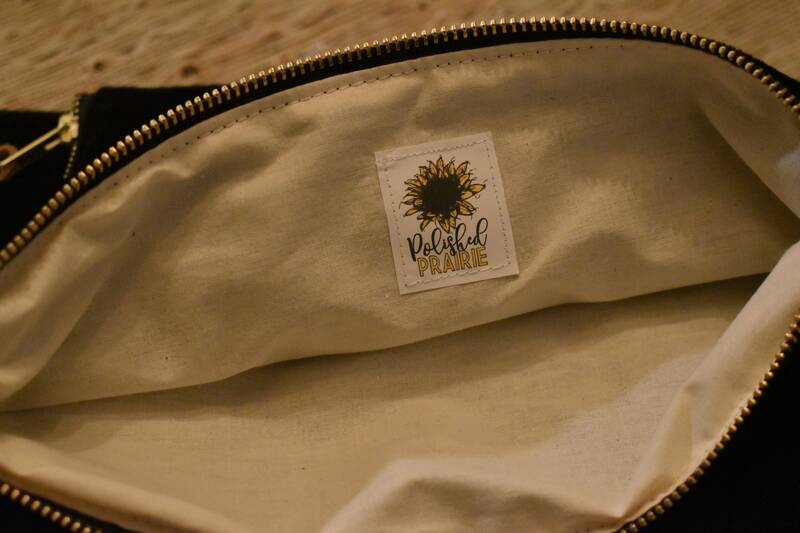 All bags are fully lined with natural muslin with gold zippers and finished off with a leather zipper pull. 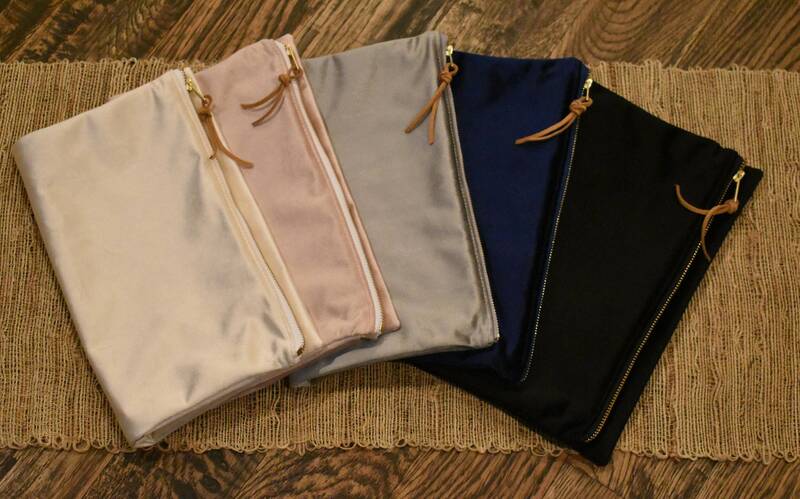 In stock velvet clutches come in black, navy, light gray, ivory and blush. 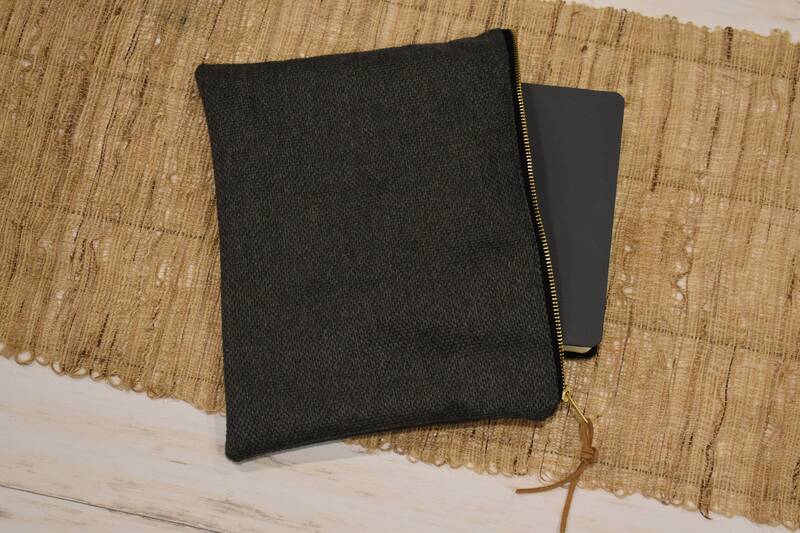 **Measurements for the dark gray tweed zipper pouch bag is: 9" wide (horizontal) and 11.5" tall (vertical), which is also the zipper length.